The Maryland Department of Natural Resources offers access to outdoor recreation opportunities for everyone, and right now is an ideal time to get passes for entry to public lands for 2018. The Maryland State Park & Trail Passport available now provides access to our network of state parks now through Dec. 31, 2018, meaning extra time for the yearlong pass if purchased before the end of the year. The passport is available to residents for $75 and nonresidents for $100. Adults ages 62 and older can purchase a Golden Age Pass, which provides a lifetime pass entitling seniors to free day-use entry and complimentary boat launch in addition to half-price camping Sunday through Thursday at state parks. All for a one-time service fee of $10. Maryland’s 72 state parks include more than 900 miles of trails for biking, hiking and horseback riding, as well as unique water access and camping facilities throughout the state. 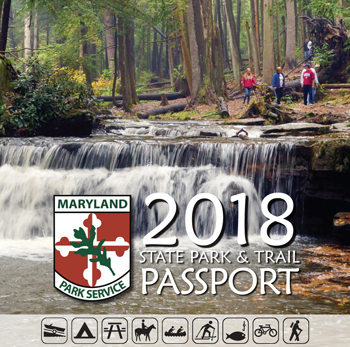 Maryland State Park & Trail Passports and Golden Age Passes are available online at the Maryland Department of Natural Resources Outdoor Store or by downloading the Maryland Park Service Passport Form to print an order form and pay by mail-in check.